When it comes down to iDEN based Android handsets, there are very few available to choose from, but the Motorola i1 seems to be the sole offering for now – but as always, it would only be a matter of time before we begin to see more. The case is looking pretty good as the FCC recently approved the iDEN based Motorola i886 which is one interesting Android powered device from a quick visual inspection. 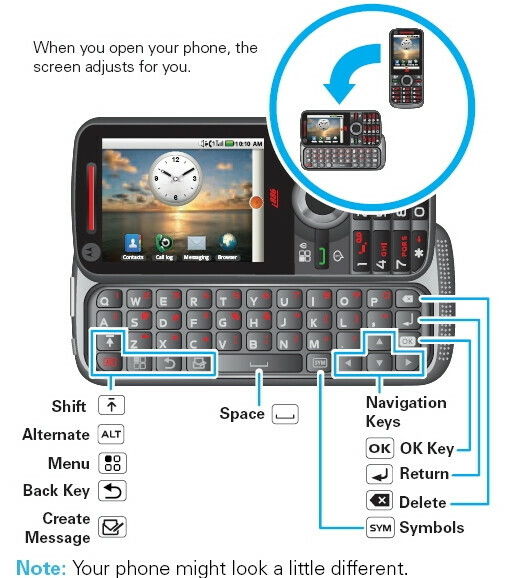 Not only does it stand out for being just an iDEN Android phone, but its choice of employing a traditional keypad and landscape sliding QWERTY are also eye catching. It's definitely a form factor that we haven't seen with any iDEN device running Android, but the Motorola i886 is packing some entry-level specs under its hood. 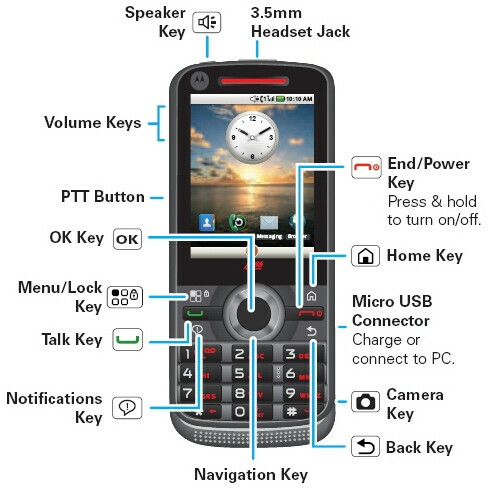 It features a 2-megapixel camera, GPS, accelerometer, PTT, Bluetooth, and a microSD card slot. Although it has been approved by the FCC, it's not yet clear as to who will be offering this handset – but there's a good possibility it'll make its way to either Sprint or Boost Mobile. I can't see Android working well with non-touch phones. There's gonna be almost no apps that work for this phone yet it will require a data plan.